Keeping track of your baby's temperature, while he's running a fever ensures the right care at the right time. 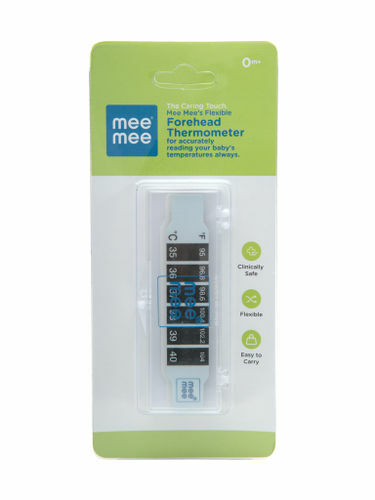 Mee Mee Forehead Thermometer measures temperature accurately and quickly, making it a must-have for parents. It is an internationally approved product which has an easy-to-read colour sensor strip and a protective case that makes it hygienic. It is easy to use, clean and store.